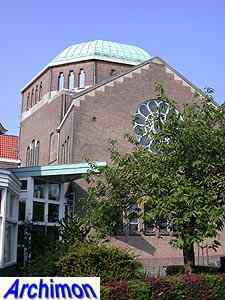 Although Abraham Kuyper, leader of the Gereformeerde Kerk, had stated that the ideal church building was a centralized one, Tjeerd Kuipers, leading architect for this denomination only built two such churches in his entire career. 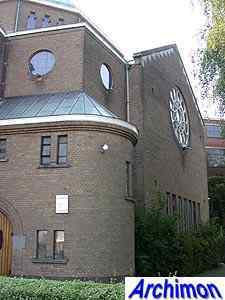 The first was the Wilhelminakerk in Dordrecht in 1898. 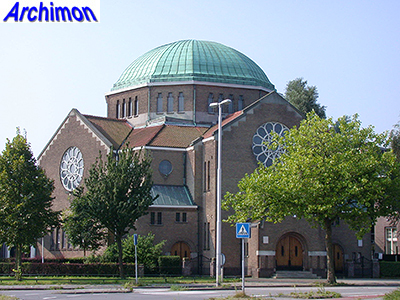 It took 25 years before he built another one, this very building in Leeuwarden. 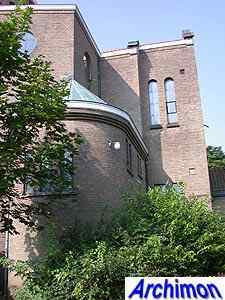 The church is built in a mix of styles. 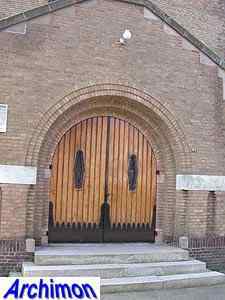 Rationalism dominates, while several smaller details at the doors are related to Jugendstil. 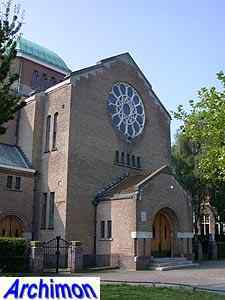 Many windows, especially those at the dome, show an interest for Expressionism, a style used by Kuipers in his last few church designs. 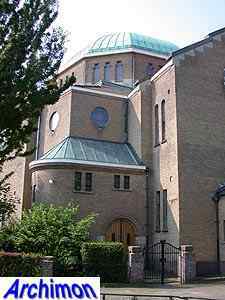 The ground-plan consists of a polygonal central space with a dome, with three arms around it, each with a big rose-window. These arms are arranged in the shape of an arrow, the ones at the sides of the church pointing towards the front. The spaces in between these arms are filled in.